I’ve been longing for an adventure. Graham and I only had one day to get away. It was just enough time for some exploring. We drove to Sedona to check out Devil’s Bridge. Find the trailhead on Dry Creek Road, which is accessible from Arizona 89A. We immediately learned how popular the trail is, especially on a 75-degree, sunny day. Hikers waved along our fun, bouncy ride to the trailhead in our Jeep. Don’t forget your Red Rock Pass when you’re hiking in the Sedona area. Another hiking option just across from the Devil’s Bridge Trailhead is Chuckwagon Trail. The hike is only 1.8 miles roundtrip. Stop for lots of photos of the view. Don’t expect solitude at the bridge, despite this photo. You probably will find a group of people taking turns walking onto the bridge for a photo. After our hike we tried to check out Palatki ruins, but we were too late. The site closes at 3 p.m. and we were there around 2:30 sans reservations. Maybe next time! Instead we took advantage of the National Park Service’s fee-free weekend. We stopped by Montezuma’s Castle on the drive back to Phoenix. 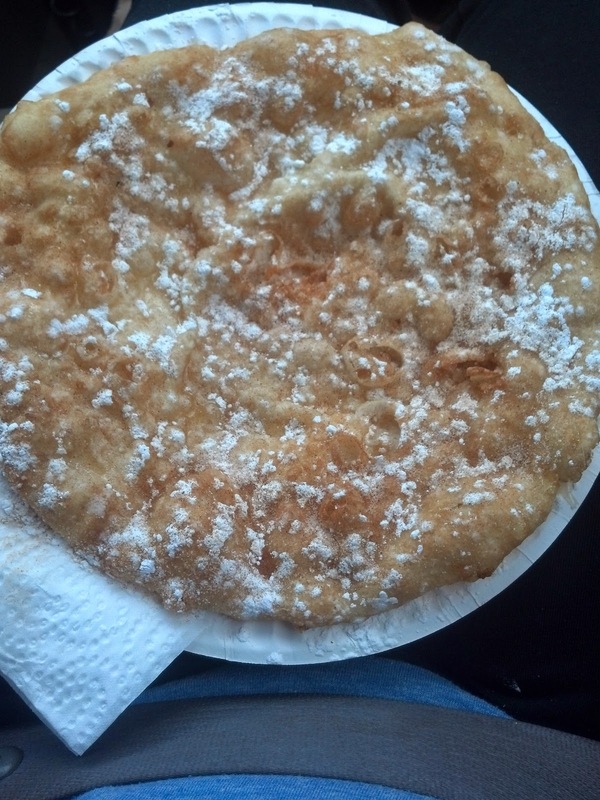 And we had to get some frybread from a stand next to the interstate. (Only $4) I regretted not asking for two.